A series of tiny coves and inlets, now sandy but once pebbly, enclosed and hidden by cliffs and flat, pink rocks, on which you can sit and sunbathe comfortably. Cala Bona gets its name from the fortunate ‘protected’ position in which it is located, which has always been a calm and safe haven for small boats. 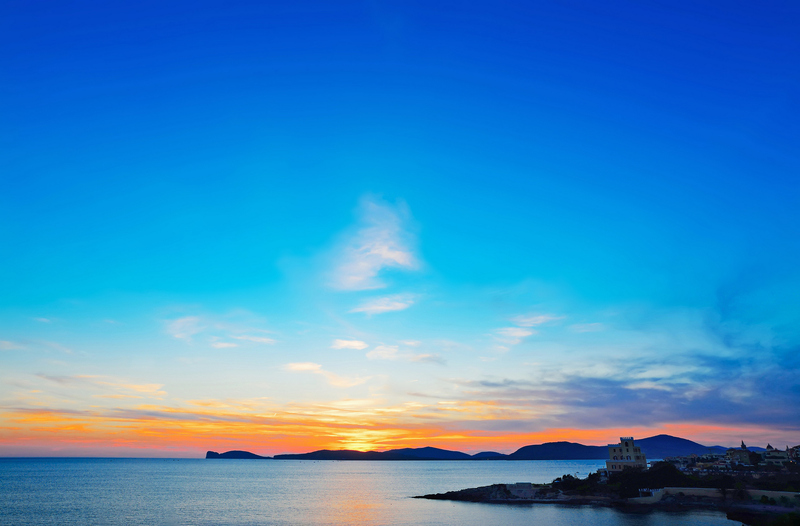 It is one of the coastal gems of Alghero, less than a kilometre south of the old town centre, along the provincial scenic road leading to Bosa, close to one of the most panoramic parts of the coastline, the hill of Balaguer. The little coves have dark, large-grained sand mixed with pebbles and the sea is transparent and sparkling with green and sky blue, thanks to the reflections of the sun on the deep, rocky seabed. This locality is highly frequented by recreational fishing enthusiasts, both for fishing with rods and underwater fishing. In recent times, it was used as a sandstone quarry. 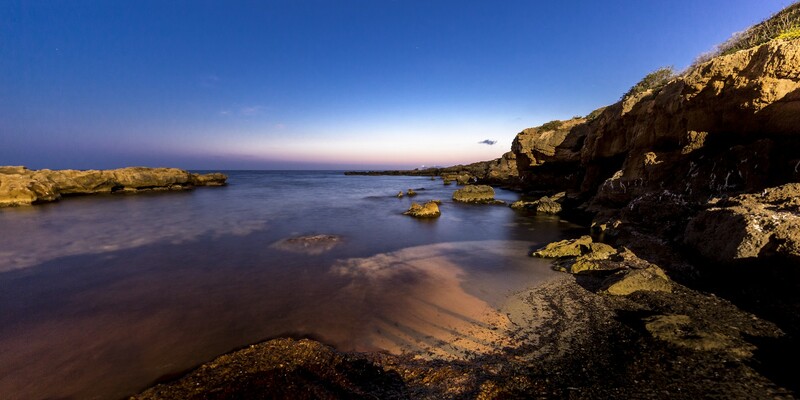 On the right of the beach, there is a cave called Grotta di Costa, with a small secluded beach. In the immediate vicinity, there are various hotels and dining and refreshments areas. Along the Riviera del Corallo, you can visit and enjoy numerous other gems: also on the road to Bosa, you will encounter Cala Burantin and the beach of Speranza. In the town, you can relax at the Lido, a city beach and Alghero's most extensive one, and at the nearby dunes of white sand of Maria Pia, where there are centuries-old junipers. Continuing on towards and beyond the small village of Fertilia, there is the delightful little inlet of Punta Negra. 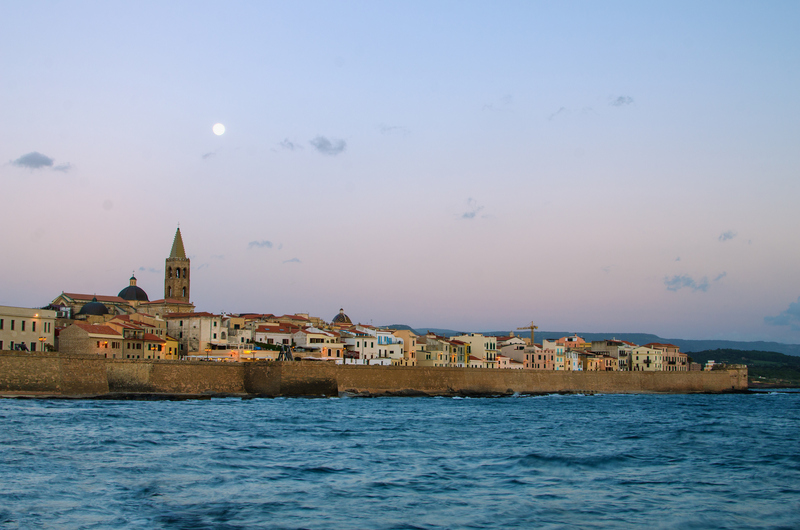 Then, further north, you will find the two gems of Alghero, Bombarde and Lazzaretto. In the bay of Porto Conte you will see the splendid, peaceful and large beach of Mugoni, as well as the delightful Cala Dragunara and Porticciolo. Cala Bona is found in the place with the same name, in the commune of Alghero. It can be reached along the SP 49 turning into a little road right before the inhabited centre of Alghero.